We are still sailing towards St Lucia and still at 9 knots. 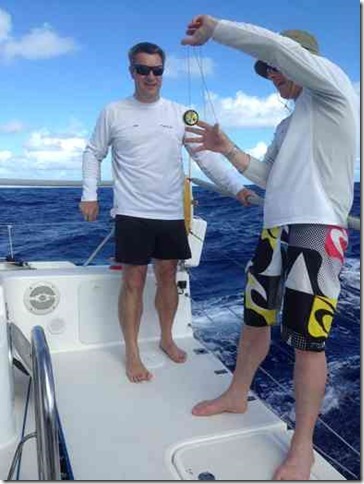 We are getting 15-18 knots of wind and we need 20+ to get Jinja up on the plane and really going quickly. But the sun is shining, the sea is blue and the flying fish are flying. J made us a fruit salad for lunch and he wants all the wives to know that we are being healthy. 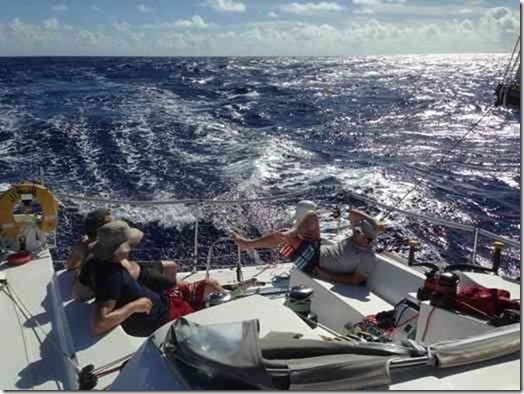 We are at 20 53.10 N, 38 47,08 W. We are 1330 nm from St Lucia.